No set of care products for suede shoes is complete without suede leather care. 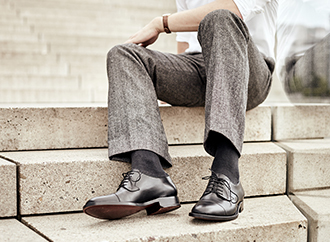 Shoes made from nubuck or velours are robust, which makes them suitable for wear outdoors. Their porous surface structure gives them a soft and velvety look and feel, but also causes them to quickly get soiled. You can use Famaco suede leather care to remove stains or dirty marks. 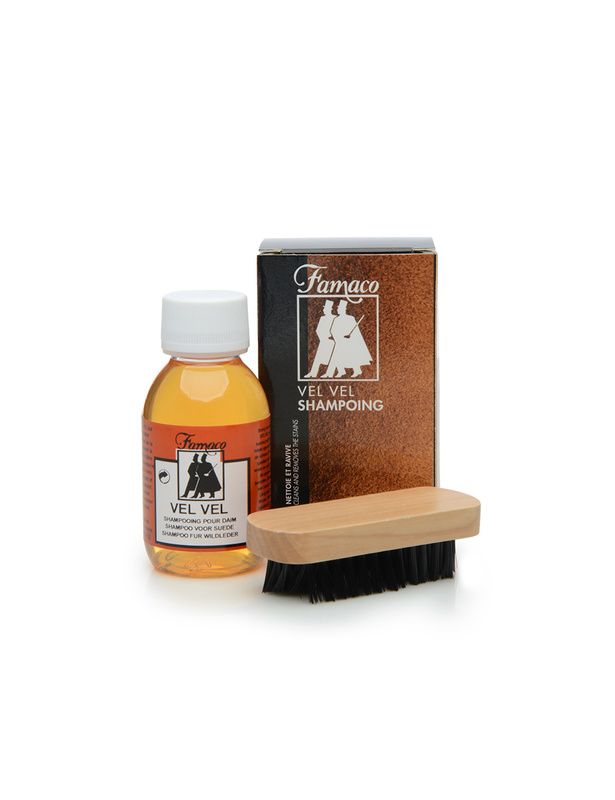 Moreover, Famaco suede leather care comes with an applicator brush, which you can use to remove stains — carefully rub the affected area to do so. You might need to treat the surrounding area with suede leather care so that a ring is not left behind from the cleaning process. After applying the suede leather care, you can use a special brush to work it into the leather — a suede brush for velours, or a crepe brush for nubuck. This restores the leather’s original look and feel. After being treated in this way, your shoes will once again look and feely velvety-soft. Famaco’s VelVel suede care comes in a 100 ml bottle. Each bottle is fitted with an applicator brush.